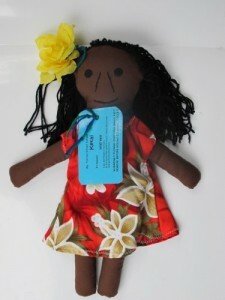 Handmade in Aust fabric doll 360mm high. Adorned with flower, and TSI colour necklace. Supplied with TSI name tag and English meaning.